As we reach the halfway mark for 2014 we are able to look back and be proud of our achievements. To keep up to date with everything that has happened so far this year take a look at our newsletter by clicking here. 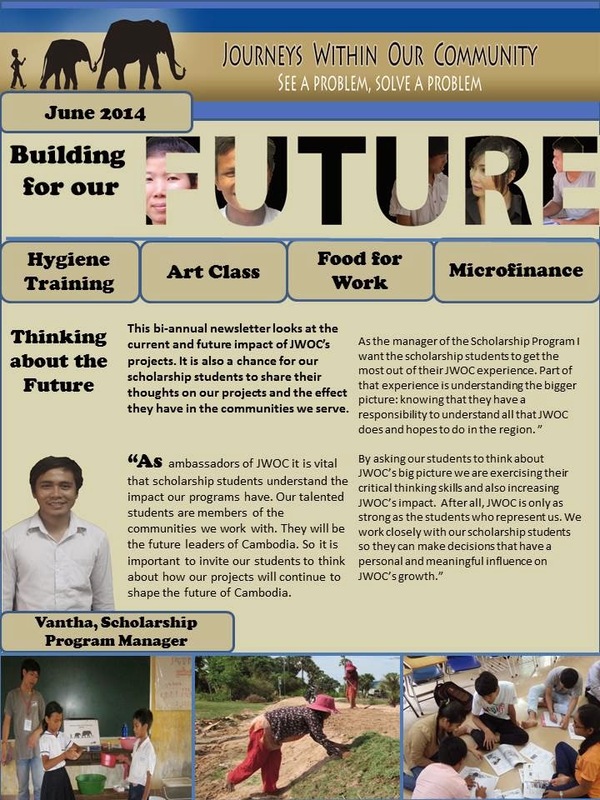 The theme for the newsletter is ‘Building for the Future’ where we asked our scholarship students about their perspective on how JWOC’s projects will impact the future of Cambodia.